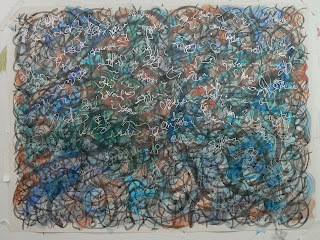 This is an acrylic painting, scrawled, scribbled, squiggled, and doodled on an 18" x 24" sheet of unpresuming drawing paper. 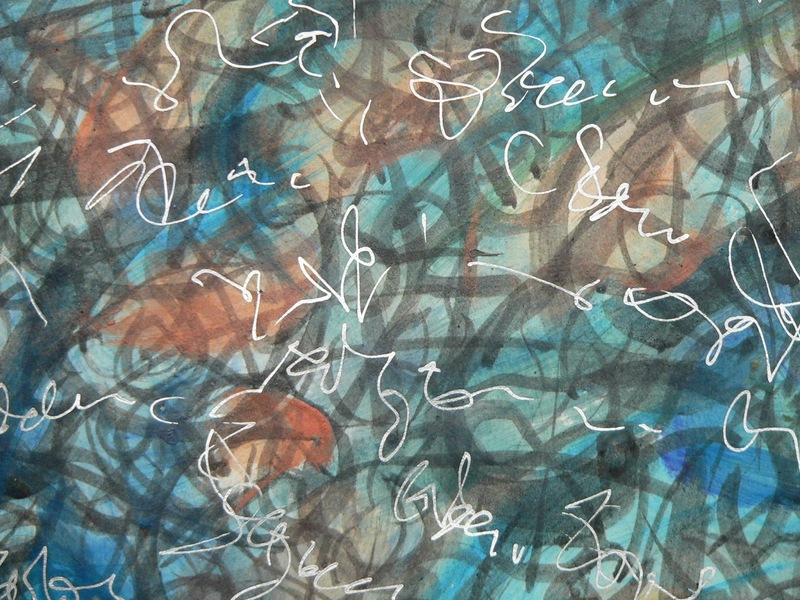 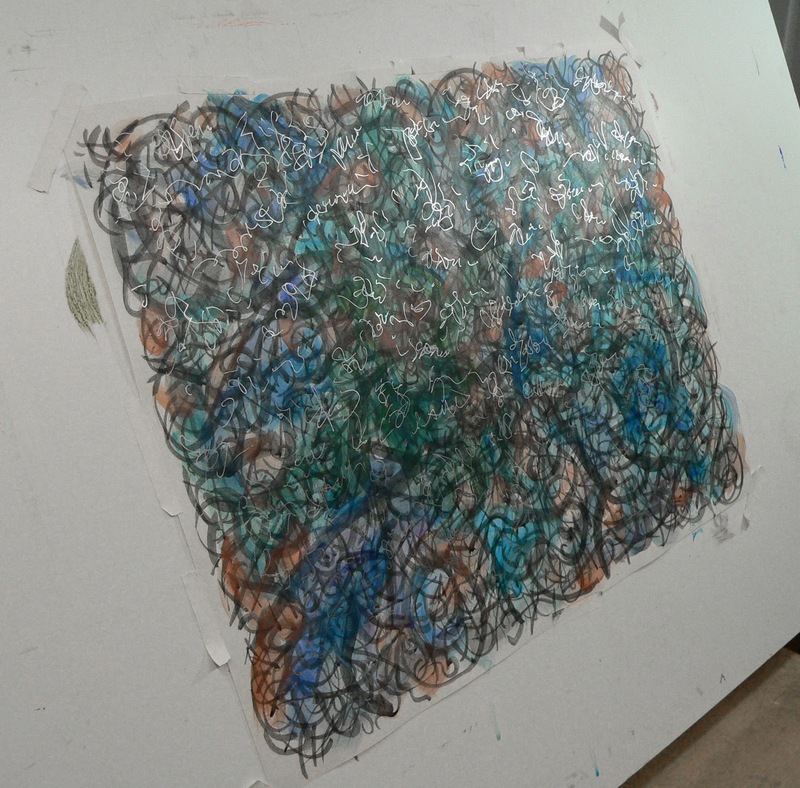 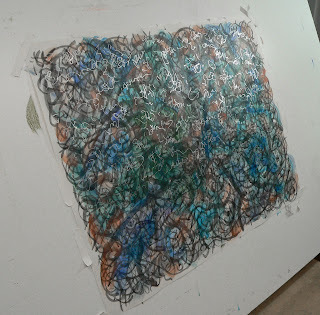 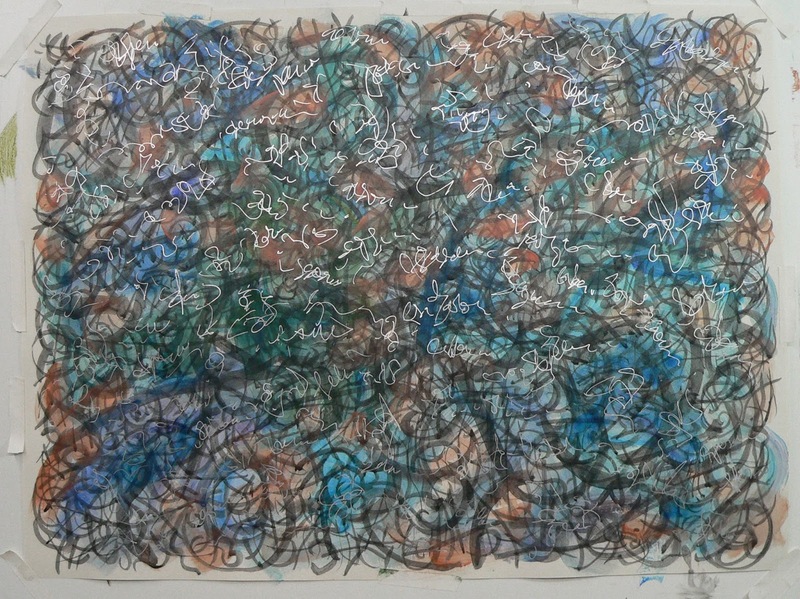 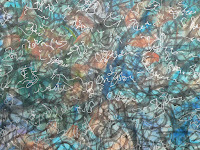 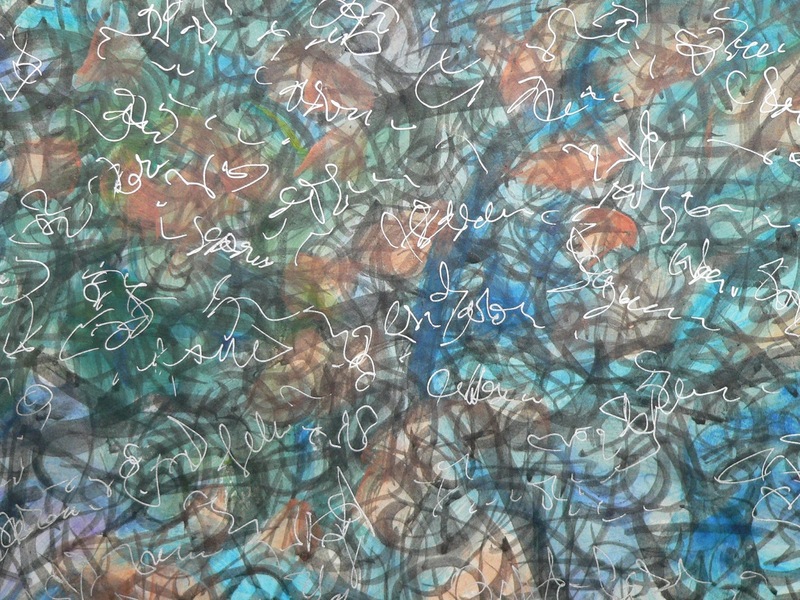 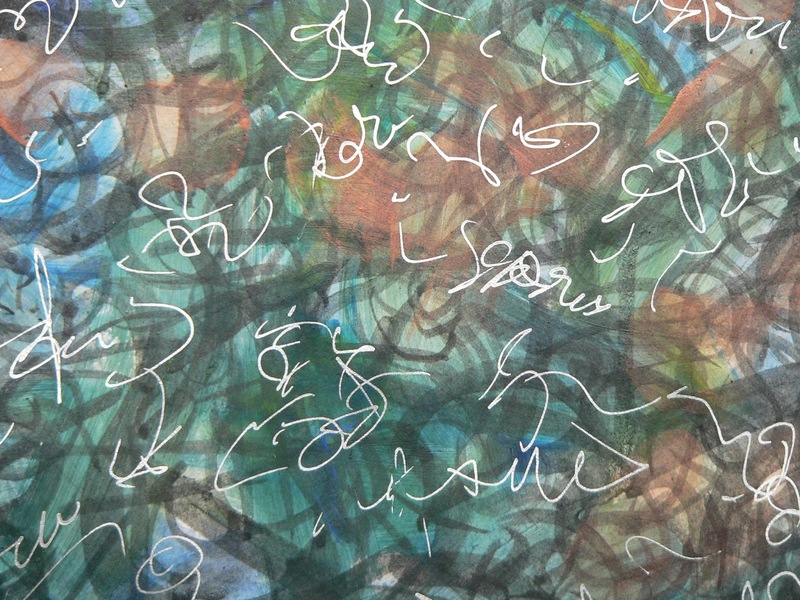 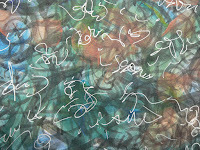 Amongst the tangle is secret silver writing that lifts from the background when illuminated from just the right angle. All-in-all a lovely abstract texture, ready to liven almost any blank wall.